Friday’s GDP report saw stronger growth than was expected, coming in at 2.3% versus expectations for 2.0%, but below the 2.9% rate from the prior quarter. Growth has now slowed from a 3.2% rate in the third quarter to 2.9% in the fourth and 2.3% in first quarter – not seeing the acceleration, are we? The biggest drag on GDP growth this quarter came from Personal Consumption Expenditures, which slowed to just 0.73%, the slowest rate since Q2 2012. This decline came from the goods purchased category – mainly durable goods, especially automobiles and in the non-durable category – clothing and shoes. This rather dramatic decline is likely a function of two things: first the rising ratio of consumer debt to disposable income and second, the base-effects of the forced spending in Q4 due to the damage caused by the twin hurricanes in the east and fires in the west. The biggest contributor to growth came from Gross Domestic Investment, which was primarily from non-residential construction and an increase in non-farm inventories. The spike in non-residential construction was to be expected given the damage from the hurricanes and fires. 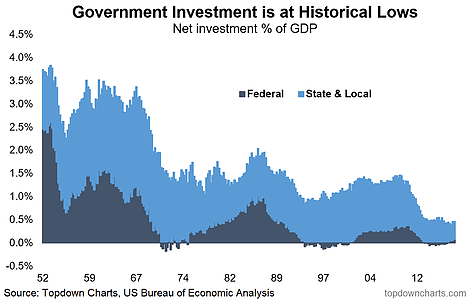 On the other hand, government investment in fixed asset investment (infrastructure) is at historical lows. The chart below, from Topdown Charts, illustrates this quite clearly. 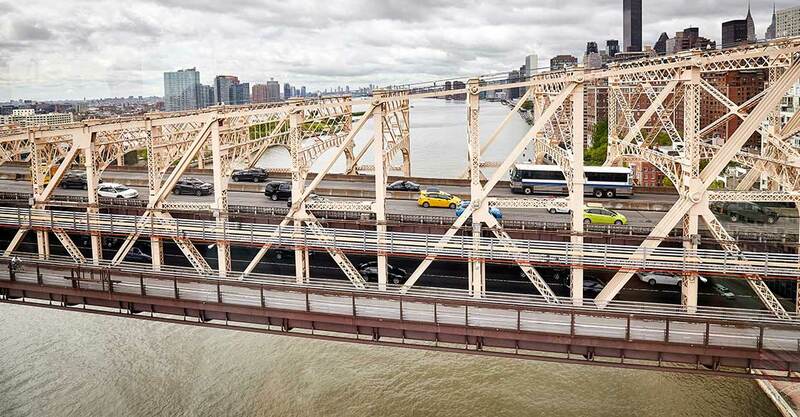 Crumbling highways, bridges, and roads and outdated airports (just to name a few) reduce productivity and increase costs. For more robust economic growth, these investments – be they through tax and debt-funded public coffers, or the private sector – must be made to keep America competitive.